Wednesday 5 September at Brisbane Water Secondary College Woy Woy Campus. The night will officially begin at 5.30 pm (please arrive at 5.15 pm to be seated). There will be a presentation followed by perusal of information stands on each area of study and the opportunity for individual advice. Free event but registration essential. Macquarie’s students are global citizens, deeply engaged with the world and the big issues shaping the future of society. Our Global Leadership Entry Program (GLEP) supports and inspires global leaders of tomorrow. If you’ve already made a head start – kicking goals at school and making a positive change in your community through leadership and service – then apply for GLEP to be eligible for an early offer for your dream course . We look for students who have made an active and significant contribution to society at large, who show initiative and commitment. Click here for more information. Students seeking early entry into a 2019 business or law degree at ACU, including double degrees, can apply now for the Passion for Business (P4B) or Passion for Law (P4L) programs. Online applications should include a 200-300-word submission on why you are passionate about Business or Law, and your aspirations for a career in the field. We all know how much time students can spend looking up ATAR information online. That’s why My Health Career has created a listing of ATARs for every course around Australia for 14 health professions. Follow the link to find out what the ATARs are for everything from physiotherapy to optometry, nursing to dietetics. Filled with information including research reports, academic papers and case studies, ACU’s new Impact content hub is a free online resource covering topics as diverse as career advice, world events, lifestyle, study, topical issues and advice for anyone considering academic study. Applications now open for 2019. All HSC students must apply through UAC. Entry Requirement: successful completion of the HSC. Bachelor of Business (Major in Accounting, Management or Marketing) UAC Code 570110. Bachelor of Networking UAC Code 570130. 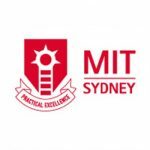 For more information contact Bridget at MIT Sydney – bspinks@mit.edu.au or 8267 1451. Every year Australia’s leading employers travel the country looking for high quality graduates and undergraduates. The Big Meet is your opportunity to meet up to 100 of these organisations in one day and in one location. These organisations are offering a range of options including graduate employment, voluntary work, gap years, international internships, vacation work, postgraduate education, teaching, travel and overseas opportunities. Whatever your interests, The Big Meet has something that will meet your needs. Are you a Year 9 or 10 school student who has a passion for Science, Technology, Engineering or Mathematics (STEM)? Do you want to tackle the challenges we face as humans and make a difference to society? Students can explore career paths with anthropology, compare undergraduate courses at all the university stalls, gain tips on university admission and interact with students who are currently studying anthropology. Study Medicine – New free trial feature added. You can now use and see Study Medicine in action. 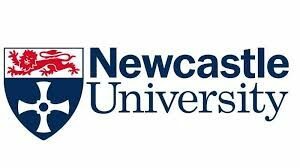 The University of Newcastle Law School is offering Indigenous students the opportunity to gain early entry to our Law degree. Recognising the need to increase the representation of Aboriginal and Torres Strait Islander people in the Australian legal profession and allied fields, Newcastle Law School is inviting Indigenous students currently preparing for their Higher School Certificate to apply for entry to the Bachelor of Laws (Honours) Combined for 2019. Applicants must remember to also apply through UAC.